The organizers welcomed guests from 16 countries, the farthest being Cuba, Honduras and Turkey. On Saturday, FSCW held the Northern European Qualifying Tournament of the Cigar Smoking World Championships (CSWC) on the Tallinn Song Festival Grounds. The tournament was won by Sergey Galevsky from St Peterburg’s cigar club Horse Power. 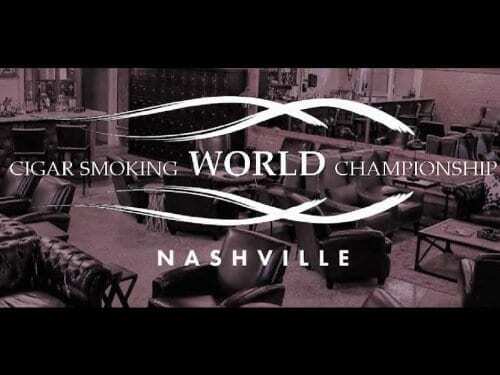 He earned a ticket to the finals of the championship held in Split, Croatia from August 31 to September 2, for keeping his cigar burning for 114 minutes and 11 seconds. „Tallinn welcomed people from Russia, Finland and Latvia, but even from countries farther away. 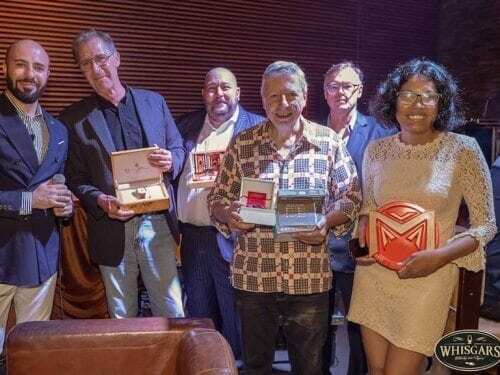 In the cigar world it doesn’t matter where you come from – everyone here belongs to a big and supportive family,” Galevsky happily stated. He also said that the contest turned out to be a tight game, which in his opinion makes the victory even sweeter. The second place was earned by Yuri Lushkov, also from Russia, with the result of 107:23, and the third place by Allar Aas from Estonia with 104:32. The king of cigar smoking, Oleg Pedan from Russia had already earned his ticket to the finals, but he enjoyed a good cigar with other contestants nevertheless. Although out of competition, the former World Champion and the owner of several world records reached a result of 119:18. The female contestants were ranked separately. The first place was taken by Olesya Nokhrina from Russia, defending her victory from last year with the result of 101:46. Triple victory to Russia was ensured by Ulyana Galevskaya (95:50) and Anna Platonova (80:01). 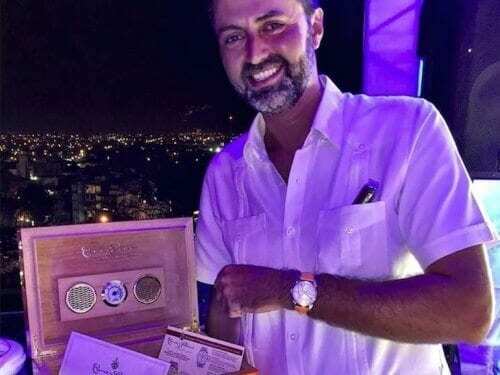 Both, Galevsky and Nokhrina received exclusive watches from a Swiss company Cuervo y Sobrinos as a prize. The contest comprised of 37 cigar smokers, 8 of them women. The cigar to be smoked was Macanudo Inspirado Mareva. 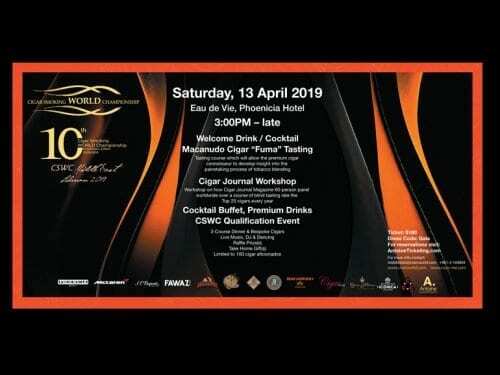 FSCW was also visited by Marko Bilić, the president of Mareva Cigar Club in Croatia, who was behind the idea of the Cigar Smoking World Championships. He noted that not only did the festival have a marvellous competition, but it also excelled in having wonderful entertainment. He had nothing but praise to give to the organizers of FSCW. After the contest on Saturday a glamorous gala dinner of more than 150 guests was held. It was presented by the festival’s co-partner Habanos Nordic. The entertainment of the guests was ensured by a successful Estonian fashion designer Gerli A. Chantelle with her fashion show, and singer Mart Sander with his Bel-Etage orchestra. The hosts of the night were actress Marta Laan and entrepreneur Imre Sooäär. 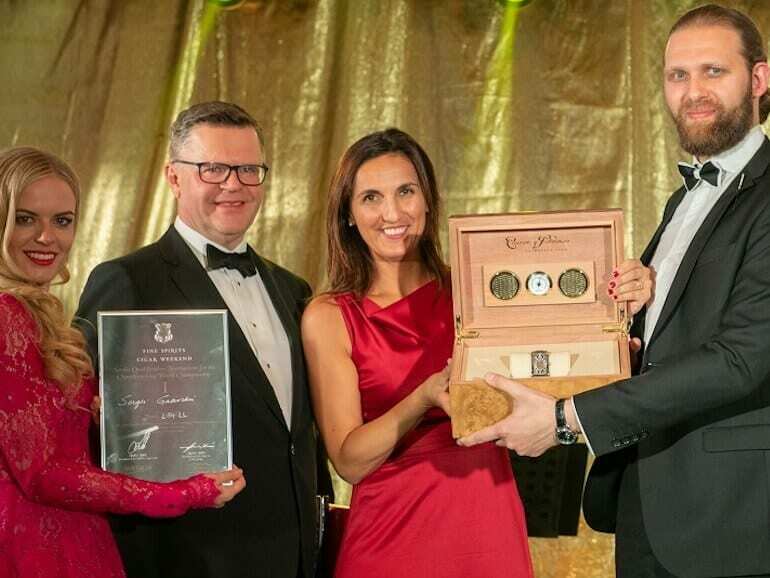 In addition to the crème de la crème of the cigar world, the events of FSCW were enjoyed by many Estonian celebrities: Tallinn’s vice mayor Kalle Klandorf, actor Raivo E. Tamm, sculptor Tauno Kangro and many more. The special guest of FSCW was the 83-year-old Russian-American singer/songwriter Willi Tokarev, also known as a great cigar admirer. He gave a dashing concert on the Tallinn Song Festival Grounds, having also written a song called „Tallinn” specially for the festival. The three-day festival was topped off with a Sunday brunch at Hilton Tallinn Park Hotel. 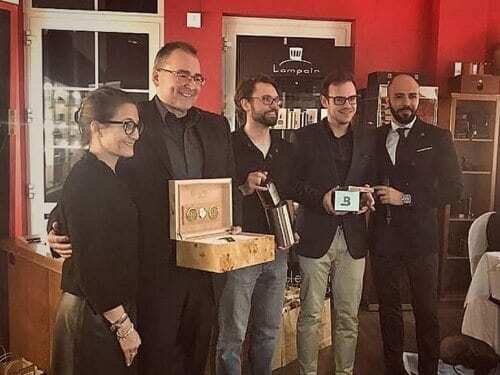 „We welcome all of our cigar friends from all over the world back to Estonia on the 14th until the 16th of July in 2019, when the 7th Fine Spirits & Cigar Weekend will be held,” FSCW main organizer Tullio Liblik said.